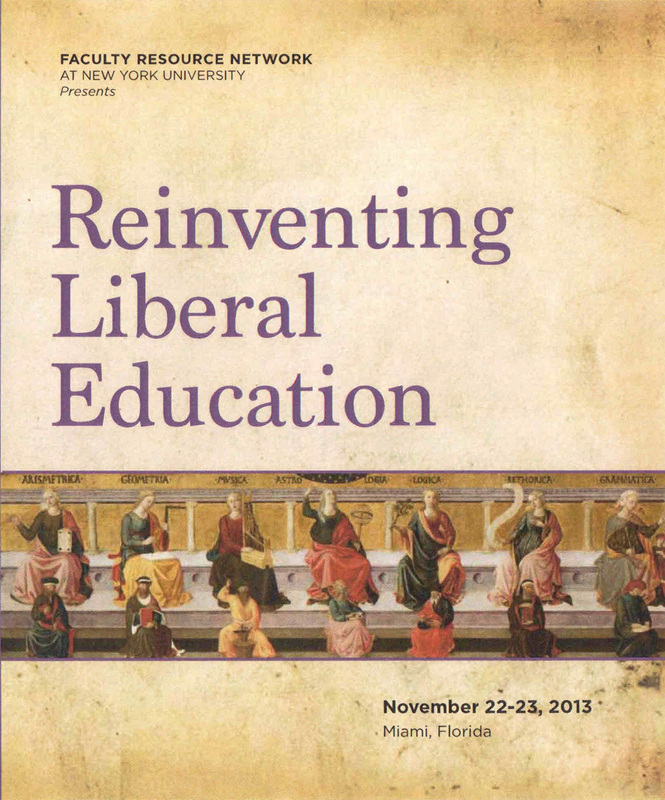 How should we rethink and reshape liberal education for the 21st century? How can we maintain our commitment to the goals of liberal learning during a time of urgent economic and social pressures? How can we ensure that our colleges are providing the type of liberal education that empowers new graduates to become engaged participants in a complex global society? The emerging challenges of the 21st century – such as climate change and cross-cultural cooperation – will require creative and flexible thinking that involves the integration of multiple skills and perspectives. Undergraduate liberal education has traditionally developed students’ capacities of open-minded inquiry and critical thinking, while expanding their intellectual horizons through guided engagement with the arts, literature, mathematics, natural sciences, and social sciences. In recent years, however, some critics have chastised liberal education as being an ivory tower indulgence that is losing its relevance in an increasingly competitive global economy. The recent economic crisis, coupled with pessimistic employment prospects for many college graduates, has generated pressure on colleges to increase their focus on vocational training. The rising costs of college tuition during a time of economic hardship have prompted more students and parents to scrutinize the monetary value of a college degree. These countervailing trends of criticism and support have placed the liberal arts at a critical juncture. During this two-day symposium, through keynote presentations, plenary panels, and breakout sessions, we will have the opportunity to discuss insights and strategies for promoting the liberal arts. In November 2013 faculty members and other representatives of Faculty Resource Network institutions addressed these questions and issues during a national symposium on “Reinventing Liberal Education,” hosted by University of Miami in Miami, Florida. In this eleventh issue of our online NETWORK: A Journal of Faculty Development, we present excerpts from a number of the presentations that were delivered during that symposium. Excerpts from a presentation by Scott L. Newstok, Rhodes College. Excerpts from a presentation by Nicola Davis Bivens, Anita Bledsoe-Gardner, and Dezette Johnson, Johnson C. Smith University. Excerpts from a presentation by Eric Hartman, School of Leadership Studies, Kansas State University, and Antoinette Hertel, St. Joseph’s College of New York. Excerpts from a presentation by Janice L. Sumler-Edmond, Huston-Tillotson University. Excerpts from a presentation by Aditi Pai, Spelman College, Jim Stenerson, Pace University, and Michael Gaines, Miami University. Globalizing Liberal Education: Study Abroad and the European History Class. Excerpts from a presentation by Jeffrey Gaab, Farmingdale State College (SUNY). Excerpts from a presentation by Evelyn Wortsman Deluty, Nassau Community College. Excerpts from a presentation by James Blakeley, Thomas Petriano, and Wendy C. Turgeon, St. Joseph’s College. Excerpts from the keynote presentation by Catharine R. Stimpson, New York University. Excerpts from a presentation by Andrés Villagrá, Pace University. Excerpts from a presentation by Alice E. Stephens, Clark Atlanta University, April D. Lundy, Clark Atlanta University, Rosalee Martin, Huston-Tillotson University, and Pamela Waldron-Moore, Xavier University of Louisiana. Excerpts from a presentation by Estelle L. Finley, Spelman College. Excerpts from a presentation by Joanna Davis-Showell, Bethune-Cookman University, Leslie Baker-Kimmons, Chicago University, and Deborah L. Freckleton, Bethune-Cookman University. Excerpts from a presentation by Audrey Wolfson Latourette, Richard Stockton College of New Jersey.